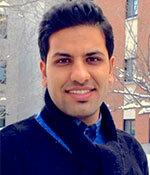 Shahab Shahdoostfard (S'11) received the B.S. degree in electrical engineering from Shahid Beheshti University, Tehran, Iran in 2008 and the M.S. degree in electrical engineering from Sharif University of Technology, Tehran, Iran in 2010, developing a wideband CMOS transimpedance amplifier as part of a homodyne receiver front-end for optical communication. Currently, he is pursuing the Ph.D. degree at Case Western Reserve University, Cleveland, OH. His research activities involve developing advanced microelectronic circuits and systems for bridging damaged spinal cord pathways. 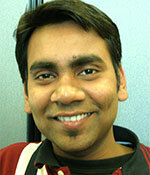 Debnath Maji (S’15) was born in 1990. He received the B.Tech and M.Tech dual degrees in Electronics and Electrical Communication Engineering from the Indian Institute of Technology (IIT), Kharagpur in 2013, developing a CMOS microthermal accelerometer with high linearity and sensitivity. Since 2014, he has been working toward his Ph.D. degree at Case Western Reserve University, Cleveland, OH. His research interests include sensor design at the interface of electrical, mechanical, and biomedical engineering. 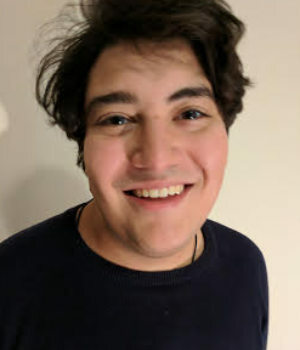 He is currently focused on developing an autonomous, small-sized, low-power, and portable sensor system for rapid, high-throughput, and low-cost dielectric spectroscopy measurements with biological fluids. 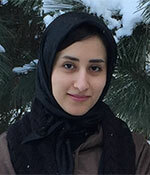 Fatemeh Marefat (S’12) received the B.S. and M.S. degrees in electrical engineering from the K. N. Toosi University of Technology, Tehran, Iran in 2011 and 2014, respectively. For her M.S. thesis, she developed a novel multichannel analog-to-digital converter (ADC) for high-density neural recording microsystems. Currently, she is working toward her Ph.D. degree at Case Western Reserve University, Cleveland, OH. Her research interests include analog and mixed-signal integrated circuit and system design for implantable physiological and health monitoring applications. 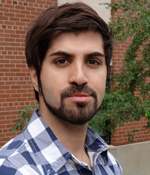 Reza Erfani (S’13) received his B.S. degree from Shahid Rajaee University, Tehran, Iran in 2010 and the M.S. degree from the K. N. Toosi University of Technology, Tehran, Iran in 2014, both in electrical engineering. From 2010 to 2012, he worked as a Senior Engineer focusing on the design of RF modules such as frequency synthesizers and QPSK transceivers for MIMO-OFDM systems. For his M.S. 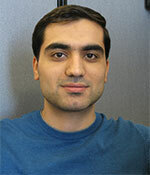 thesis, he worked on wireless telemetry of data and power to biomedical implants. Currently, he is working toward his Ph.D. degree at Case Western Reserve University, Cleveland, OH. His research interests include analog, mixed-signal, and RF integrated circuit and system design for neural engineering applications. Hossein Zamani Hosseinabadi was born in 1988. He received the B.S. and M.S. degrees in electrical engineering from the Isfahan University of Technology, Isfahan, Iran in 2010 and 2013, respectively. Currently, he is working toward his Ph.D. degree at Case Western Reserve University, Cleveland, OH. His research interests include digital signal processing, hardware implementation of signal-processing algorithms, and analog/VLSI integrated circuit design for structural health monitoring applications. Nicholas Vitale is a B.S./M.S. student in electrical engineering at Case Western Reserve University, Cleveland, OH. He is expected to graduate in summer 2018 with both his B.S. and M.S. degrees. He has focused his studies on integrated circuit design and digital signal processing for development of new neural interface devices. 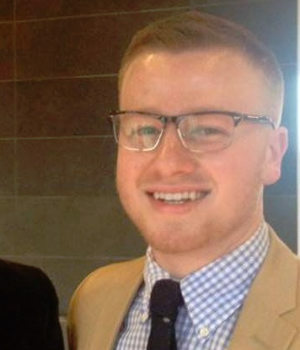 Nicholas's past research has concentrated on the development of dielectric models to characterize and analyze blood coagulation electrically. Currently, he is working on his M.S. thesis research, which involves developing Bluetooth Low Energy (BLE)-enabled wireless platforms for neural interface microdevices. Mac Russell received his B.S. degree in electrical engineering from Case Western Reserve University, Cleveland, OH in 2017. He has been working towards his M.S. degree in electrical engineering at Case Western Reserve University. His research interests include analog and mixed-signal integrated circuit design, instrumentation and measurement, and sensor design. He is currently working on developing low-cost, low-power analog instrumentation for dielectric spectroscopy measurements with biological fluids.